Sometimes you want to invite very specific swimmers to a meet who do not neatly fit into any of the available filters. Go to your Events page or Calendar. Click Edit Commitment for the desired meet. 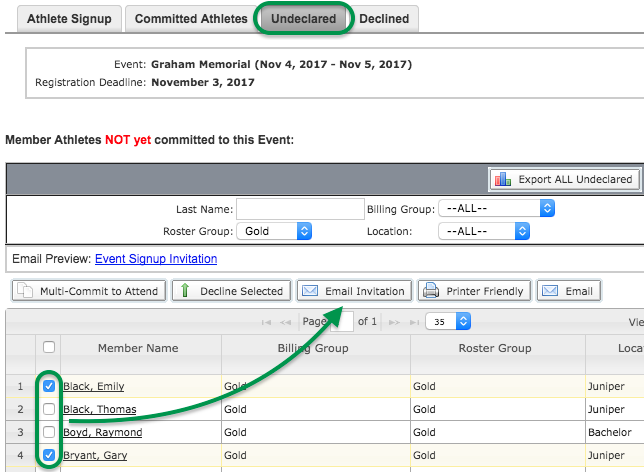 Note that you cannot restrict entry to only those specific athletes.